'Women's rights in Pakistan' is a big question often raised in the West. It is believed that women has no rights or privileges in the male dominated society of Pakistan. Before discussing whether women have rights in Pakistani society or not, first understand Pakistani society. Pakistan is an Islamic state, where people, not only take pride in strictly adhering to the Islamic values but are ready to sacrifice their loved belongings for the glory and sanctity of Islam. Islam has accorded a highly venerated social position to women. Islam acknowledges the rights and privileges of the women in society. Likewise, Islam does not impose any restrictions that may hamper the social growth and development of the woman. A woman is equally important member of society. The woman plays a vital role in building the society on healthier and stronger foundations. Women in Pakistan observe 'Pardha' while coming out of domestic environs or mixing up with other sections of society. 'Pardha,' or veil, is meant to segregate the women-folk from the male section of the society. The women are not prohibited from working but at the same time are supposed to observe strictly the rules of morality. Most of women in rural areas have to bear double burden of domestic and outside work. They are the first to rise and last to bed. They lit the fire to prepare breakfast, wash the utensils and cleans the house before setting out on their outside work. When every member has ridden the bed after completing day's work, they are engaged in working. Although the conditions of women in urban areas are better than those of the rural women. Yet the old traditions and religious restraints have hindered the independent and free movement of the women. Hey all i would love to get some feedback from you on the current level of recognition and acceptance of domestic violence in our society. 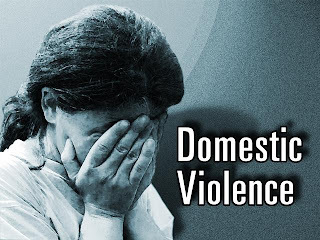 How do we change societys attitude to domestic violence? Why is there still such stigma and judgement of those in need? Its still a dirty word.. i hate that.... i hate cowards and i dont understand HOW domestic violence is not tackled head on in government, discussed openly with no shame.